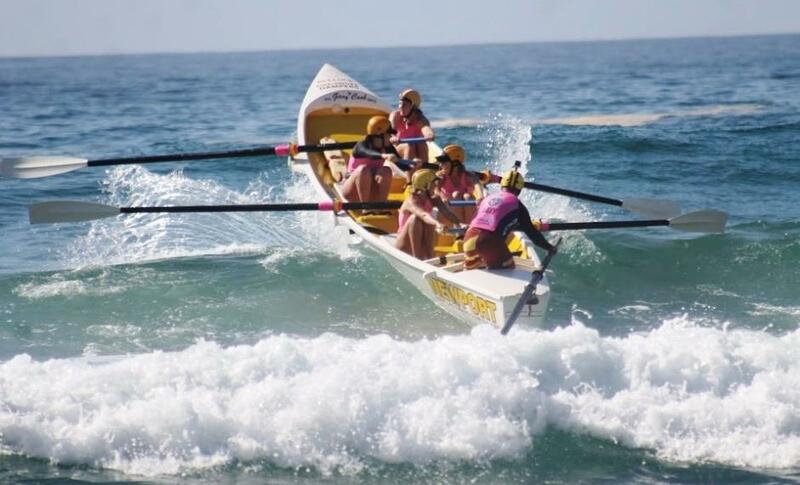 The Best of the Best Surf Boat Challenge will be held at North Narrabeen next Saturday, April 2nd, allowing six divisions of New South Wales boat crews to stay limber prior to the opening of the 101st Aussies, running from April 16th to 24th, this year on the Sunshine Coast, the last day prior to the end of the New South Wales Patrol Season for 2015-2016 - April 25th. 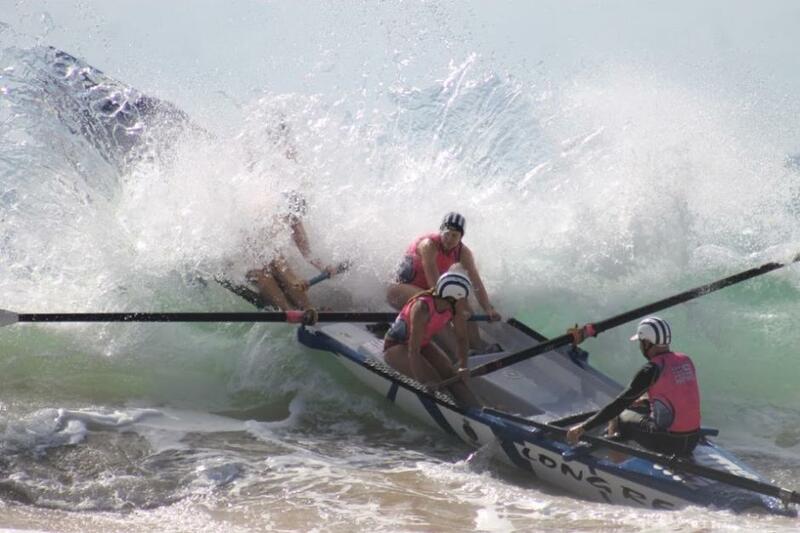 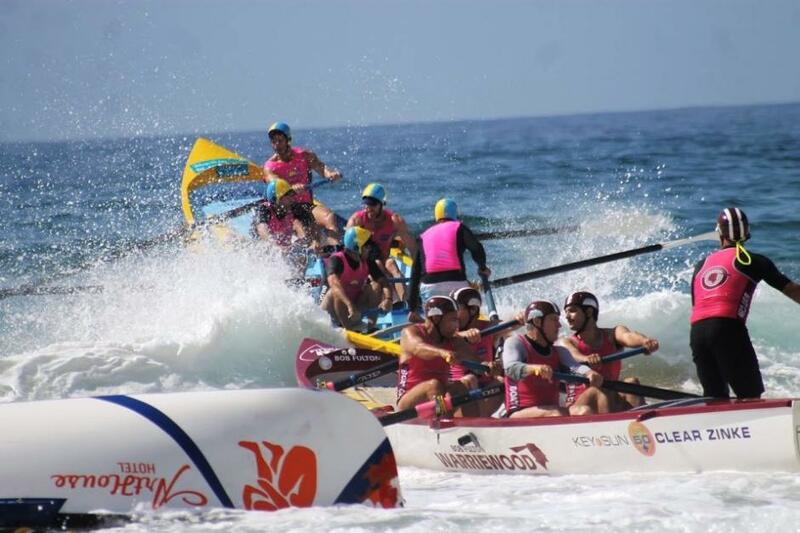 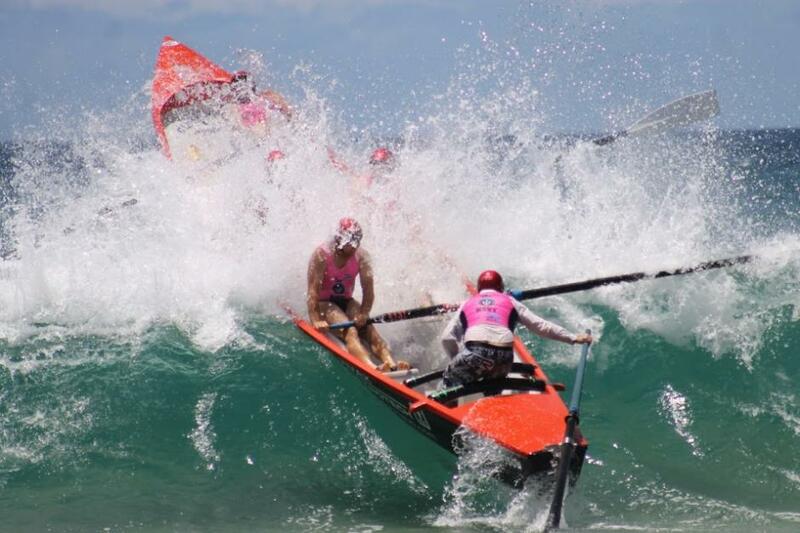 The surf boat races will be held atAlexandra Headland SLSC, a club that was founded in 1924 and patrols the beach between Mooloolaba and Maroochydore. 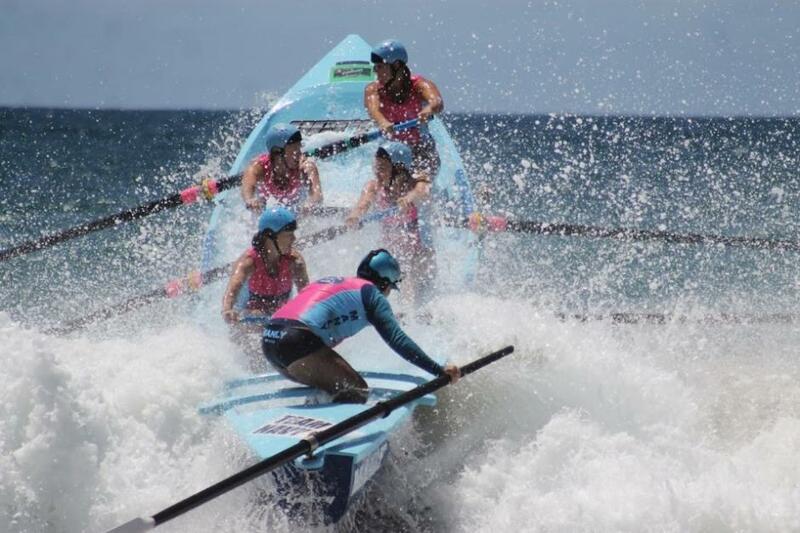 One of the premier NSW surf boat events, the Best of the Best includes crews from each of the Regional/Branch Boat Series. 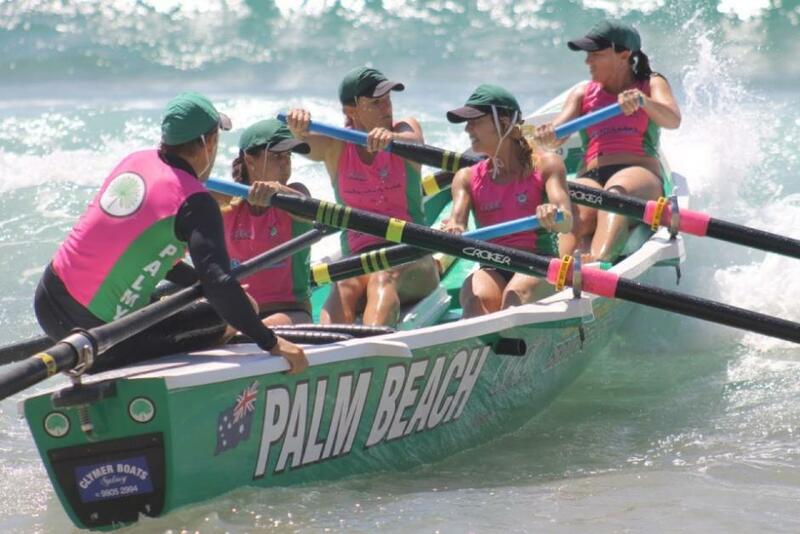 Northern Beaches crews will be well represented with the Palm Beach Pigeons and Newport Makos in the Open Mens, Opne Womens will have the Warriewood Wahines, Manly Mighty Ducks, Long Reef Chooks, Palm Beach Patriots and Palm Beach Pterodactyls. 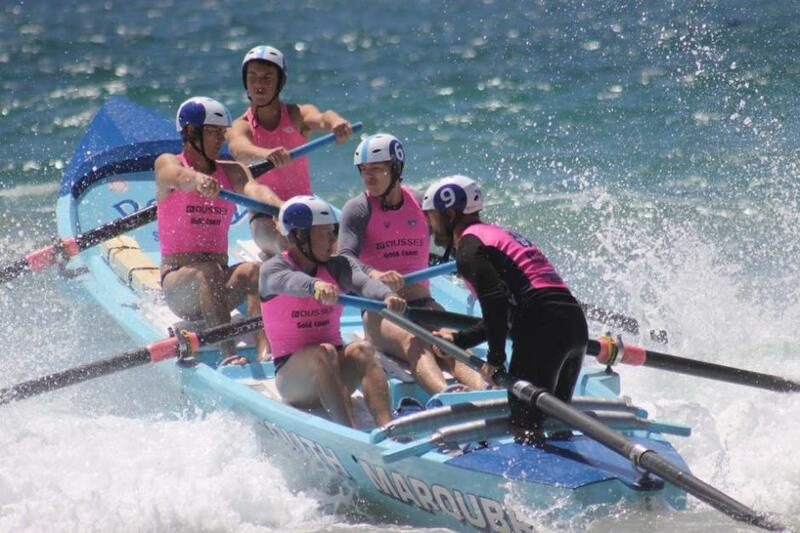 In the Reserves Newport will have their Jollytails and Sea Cucumbers racing, Warriewood Business Time, who just scored Silver in the Reserves in the State Championships will also be part of this Divisions, as well Manly's Train-Rex, North Narrabeen and the Palm Beach Projects. 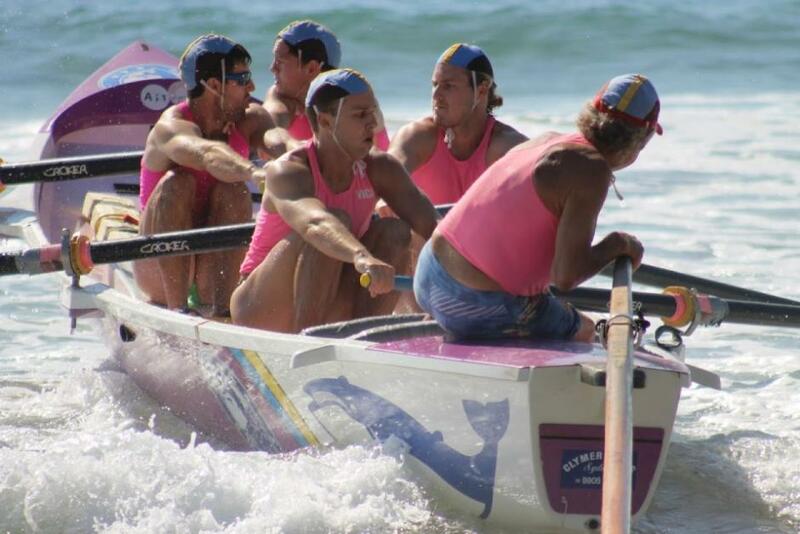 Under 23 men will be represented by the South Narrabeen Speed Dealers and Palm Beach Pencils. 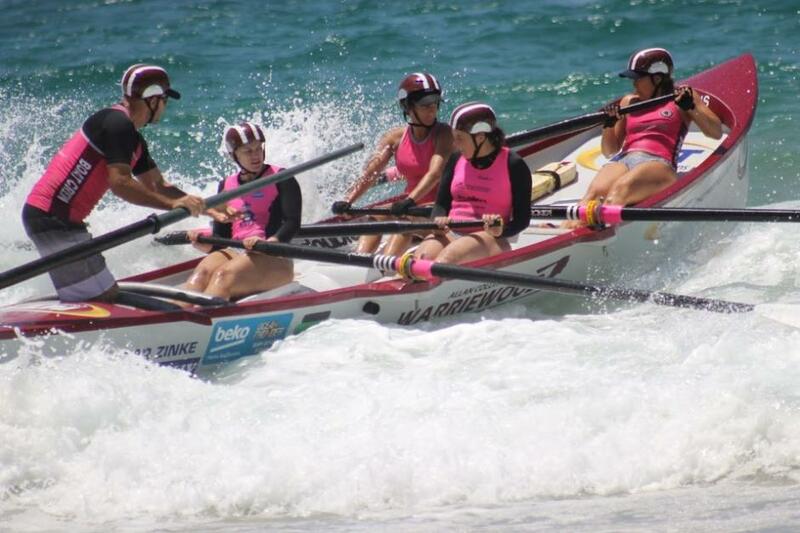 In Under 23 women the Newport Maddoggs, 1st overall this year in the Branch competition, the Warriewood Whips, Avalon Beach Avacadoes and Palm Beach Pumas, who are 1st in State this year, will see how they go against crews from North Cronulla, Corrimal and Ocean Beach. 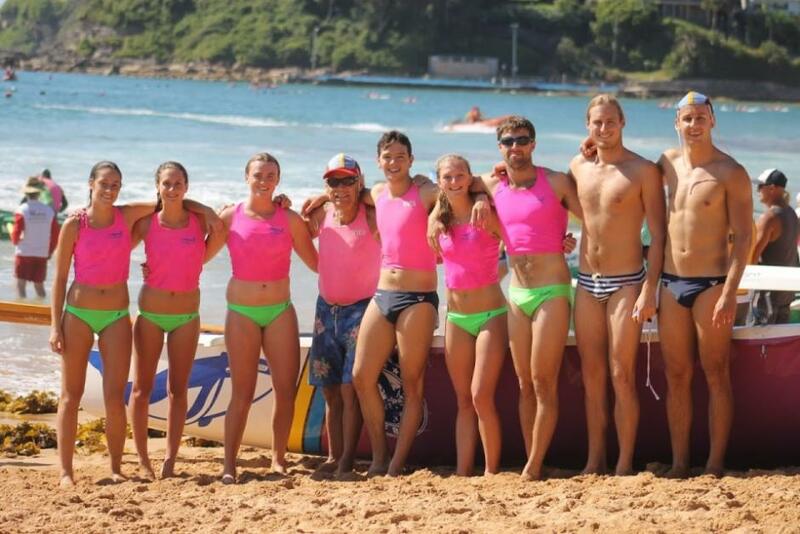 The Under 19 Mixed crews contesting this year's Best of the Best are Warriewood A, the Palm Beach Police and Collaroy's Fatties and Skinnies! 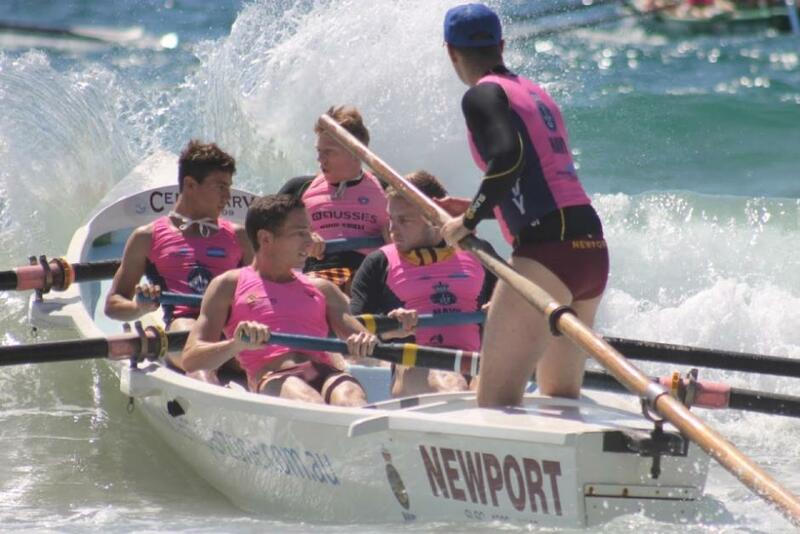 The event is perfectly timetabled to be contested between the NSW Championships and the Aussies and is a great end of season hit out for the state’s best crews. 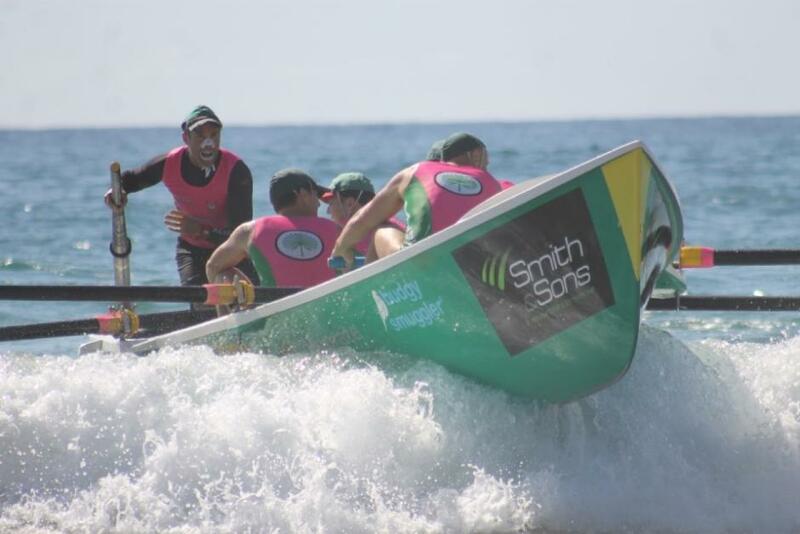 Australia's best crews for this season will be decided at the Aussies, although there have been great results for Mona Vale SLSC already, with their Open Men's 'Dial Before you Dig' crew of David Schumacher, James Bezer and Jaxon Rudduck, Trent Rogers and Sweep Matt Collins succeeding in retaining the Trans Tasman International Surfboat Test Title for Australia. 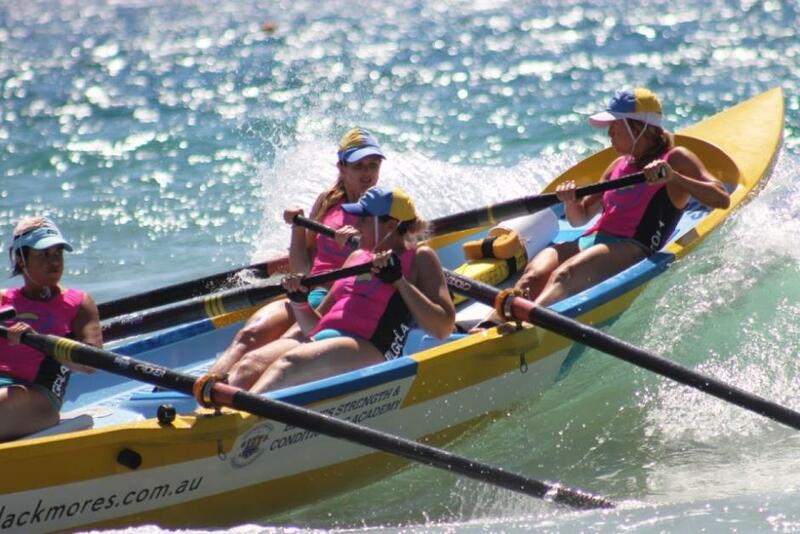 The Season has seen some great results across the divisions for local crews in the great local carnivals too. 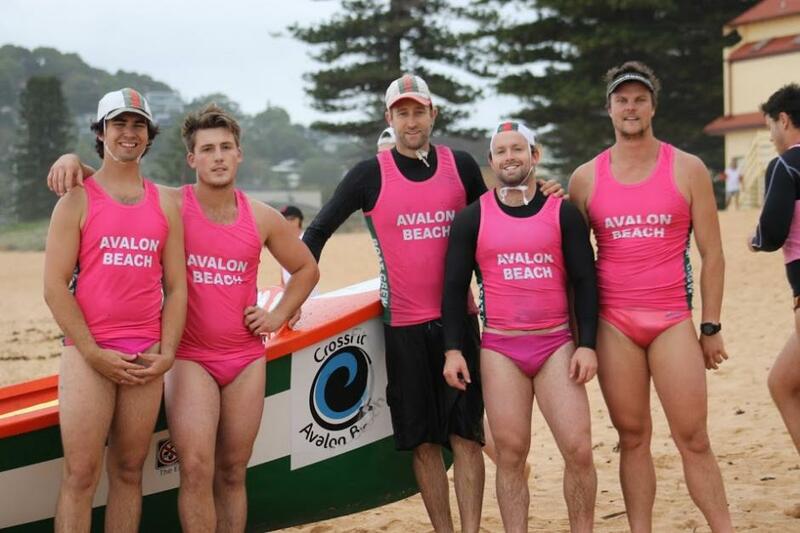 Avalon Beach SLSC's Pinkies are clear standouts, taking out the Under 23's Mens in Branch by a fair margin, placing 5th when contesting in Open Mens as well, chosen as the first ever Development Squad in the 2016 Trans Tasman Races and winning those and the Navy ASRL Inter-State Races too. 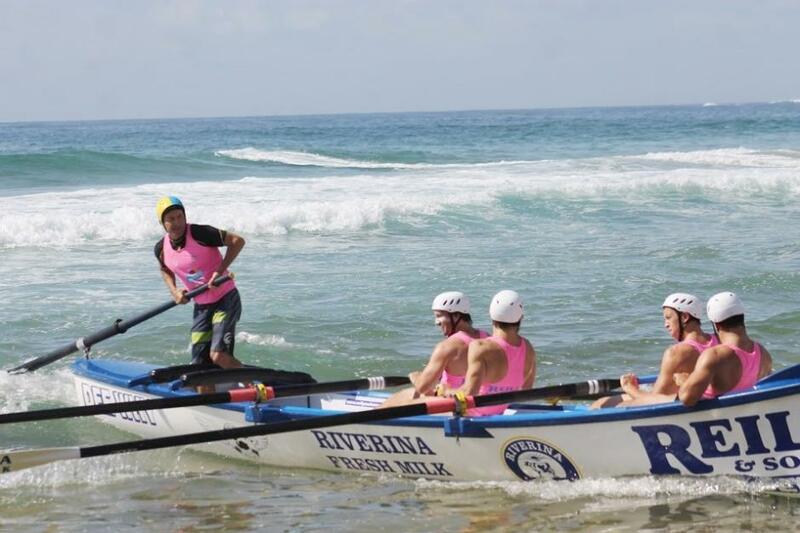 The Avalon Beach club has seen the return of some veterans and a few new enthusiasts in the rowing field; at the recent State Championships, not only did they come away with two 2nd's in the Masters, the 'Krusties' rowed three age divisions down and still made the final. 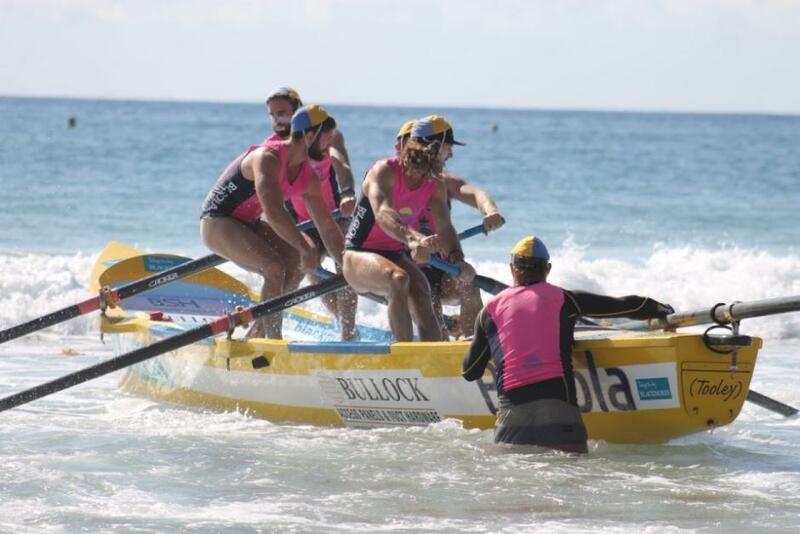 The new crew to racing, the 'Fossils' rowed their first carnival at the States too. 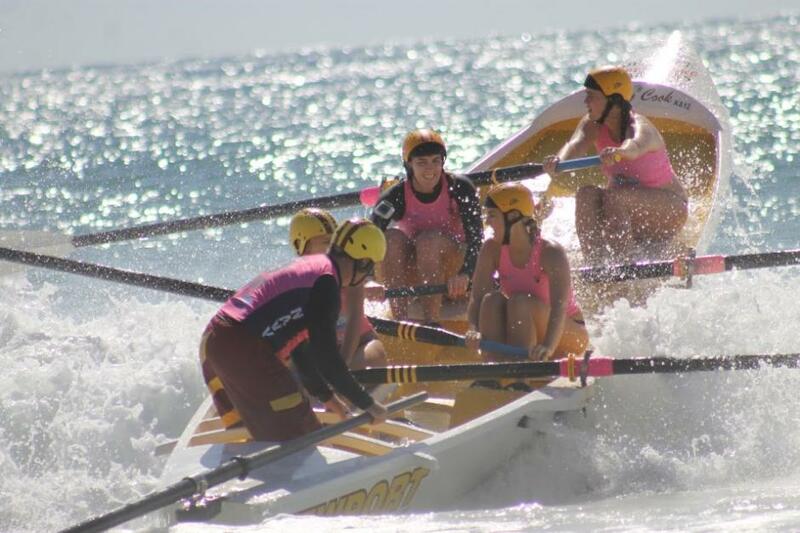 Palm Beach SLSC crews have excelled all season, they had four crews representing New South Wales in the Inter States, taking 1st in Branch in Open Mens and Womens, plus a 2nd in the Open Womens, 2nd in Reserves, 1st in Under 23 Women and 2nd in Under 23 Mens while in the 2016 State Championships they topped that up with golds in the Under 19's and Under 23's women, 2nd in Under 23 Men, 2nd in Open Mens, 3rd in Open Womens and another bronze in the Open Relay. 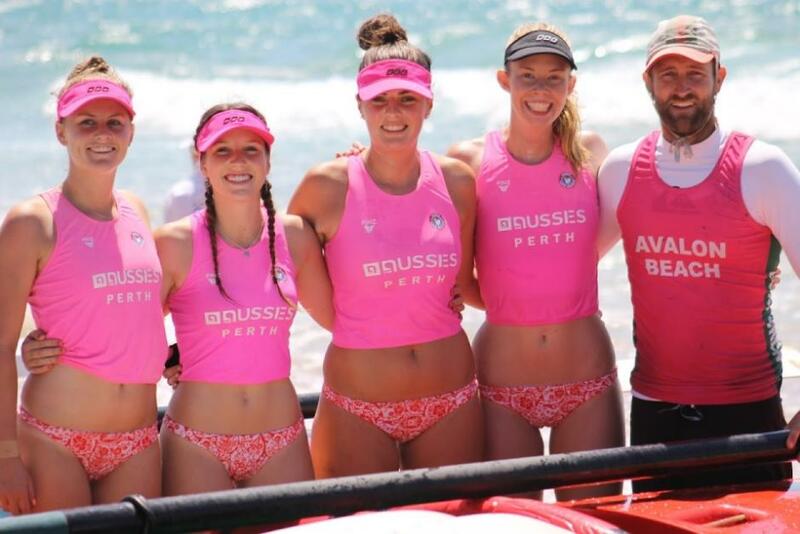 Boat Captain and sweep Peter Spence has been guiding so many crews in so many races this season the tally must be up in the hundreds - with the Best of the Best and Aussies to go it would be interesting to do a count in April - and that's just this season! 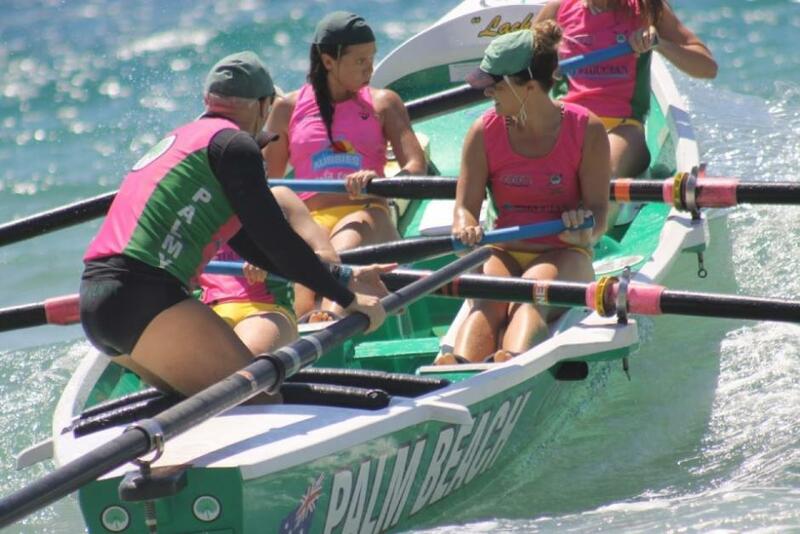 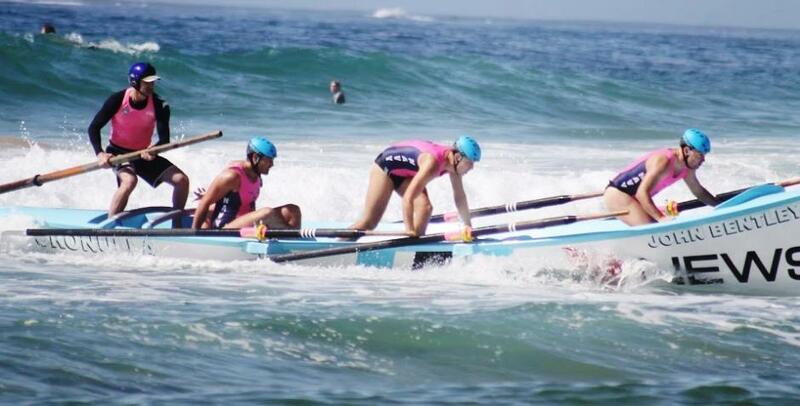 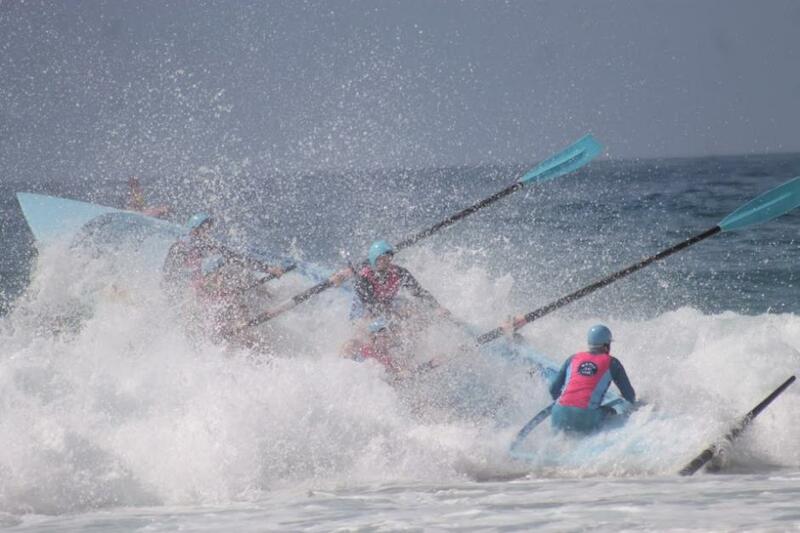 The family the surf boat rowers are was underlined many times this season but one worth noting is legend Alex Perry stepping in to help out Palm Beach at Shellharbour when Palmy sweep Stephen Cox was injured. 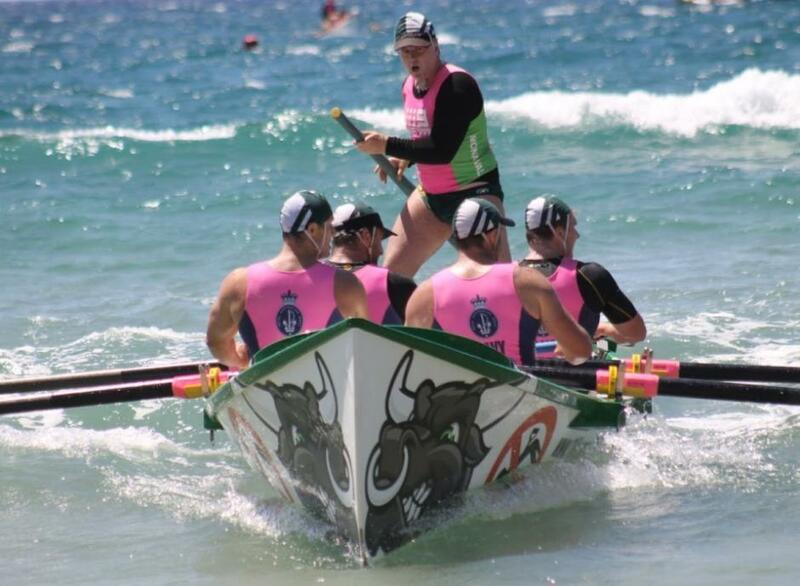 Alex Perry - at Shellharbour Navy ASRL 2016 - picture courtesy Alex Tyrell. 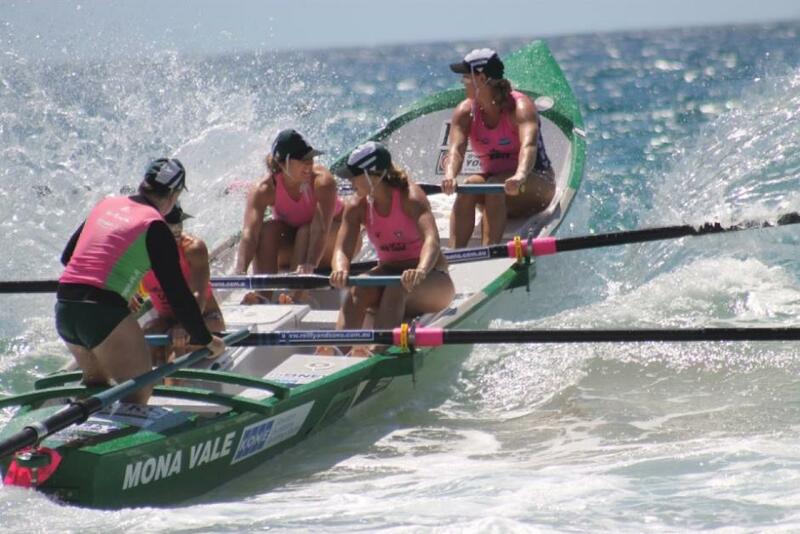 Bilgola's Gold womens crew girls took 1st at the 2016 State Championships, sweep Don McManus, and recently won silver at the 2016 Battle of the Boats. 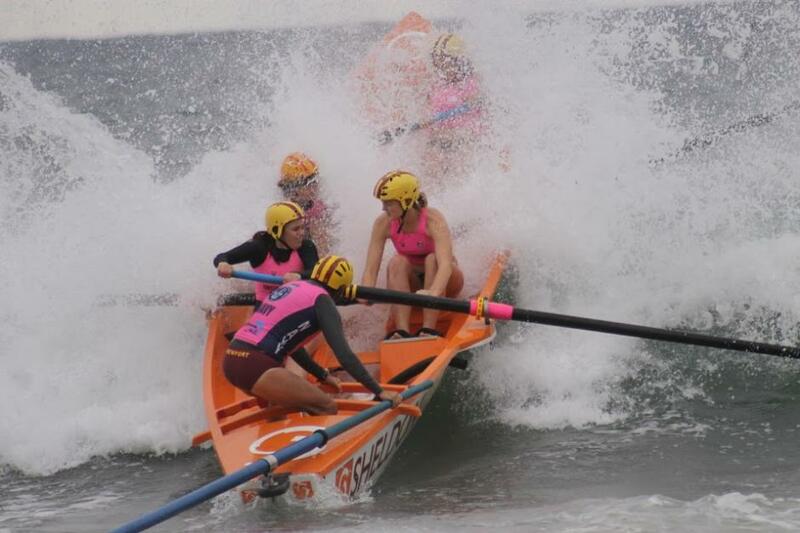 Bilgola's Under 19's Gold took 1st and their Chicklets 2nd in the Navy ASRL Open at Shellharbour. 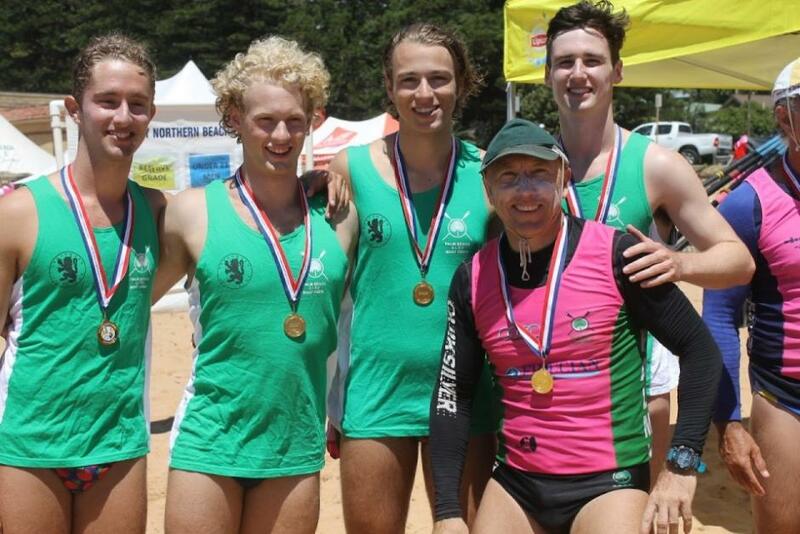 The Bennys have been steady all season, taking 3rd in Branch in the Open Mens, while their Masters crew 'Old' took 3rd at States. 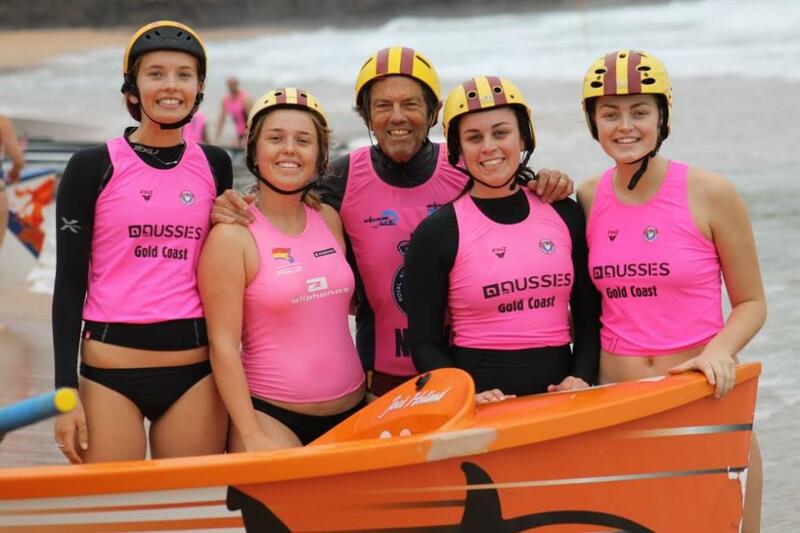 Bilgola's Gold crew: Laini Collyer (left), Alice Clarke, Aleisha Pollicina and Hayley Beckerleg - Gold! 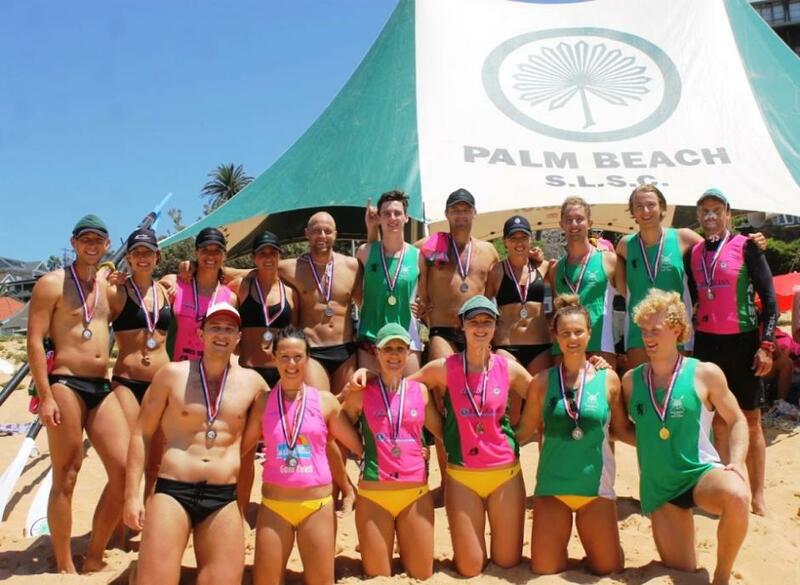 This season Bilgola's Natalie Gartner and Norm Pounder have joined the esteemed ranks of the ASRL Hall of Fame, alongside Don McManus and Mel MacPherson. 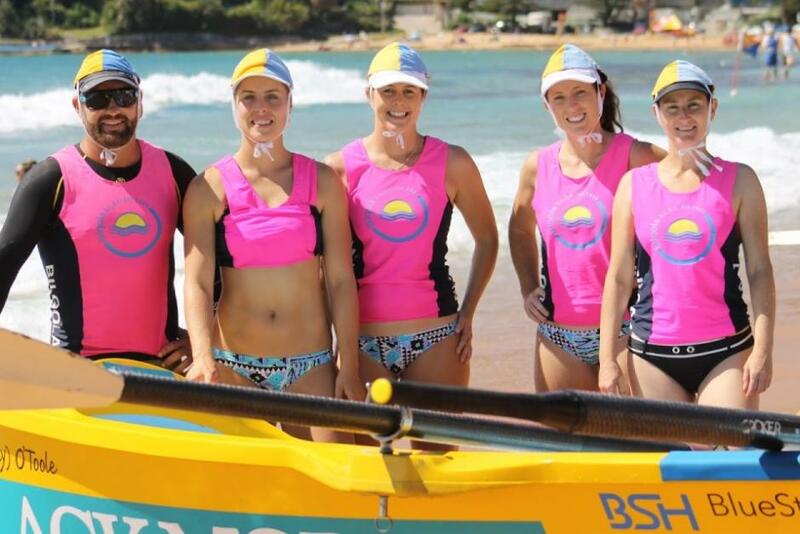 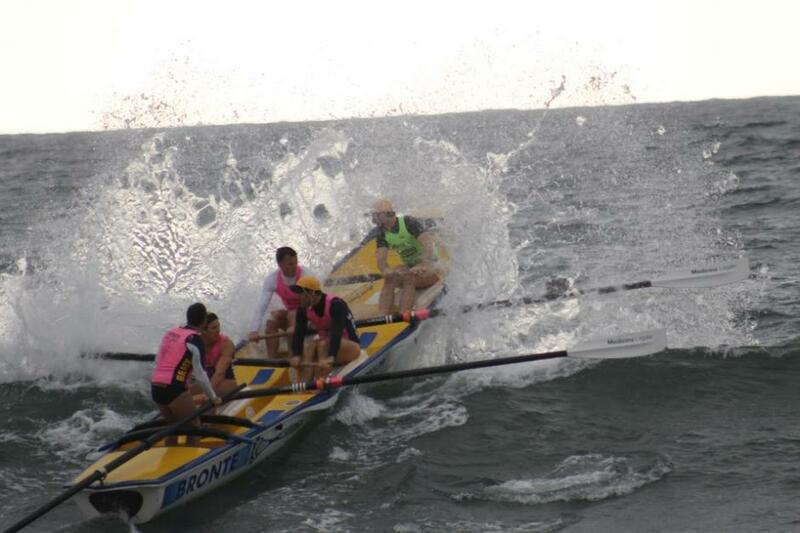 Natalie is regarded in the surf boat family as a life-long ‘boatie’ having rowed for the past 21 consecutive years. 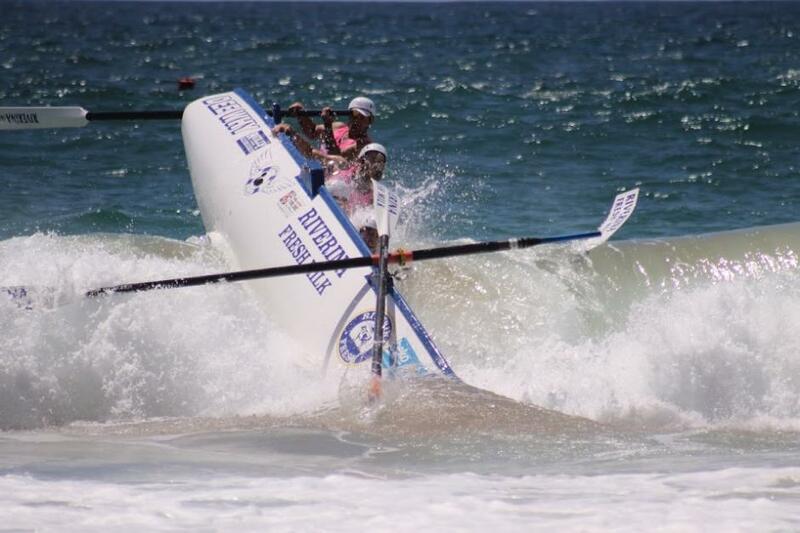 Regarded as a phenomenal sportsperson, she is also respected for her fairness. 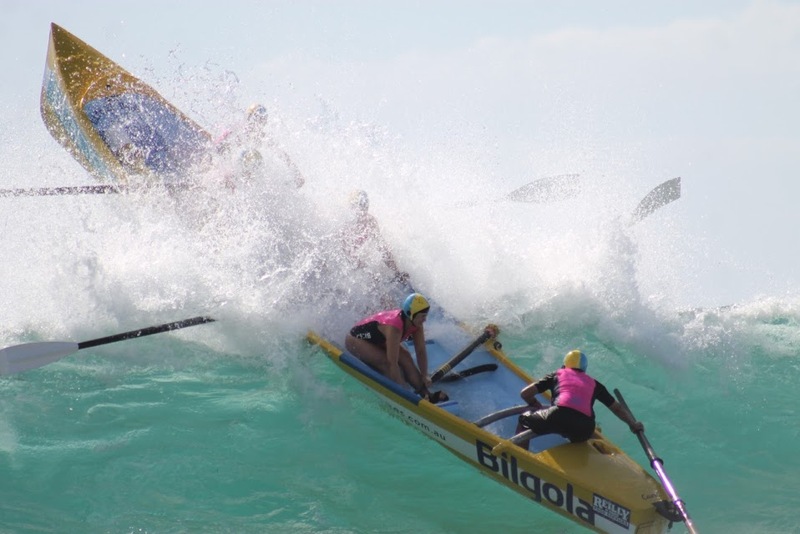 Norm Pounder is highly respected for his life of dedication and commitment to the sport and to the Bilgola Surf Club. 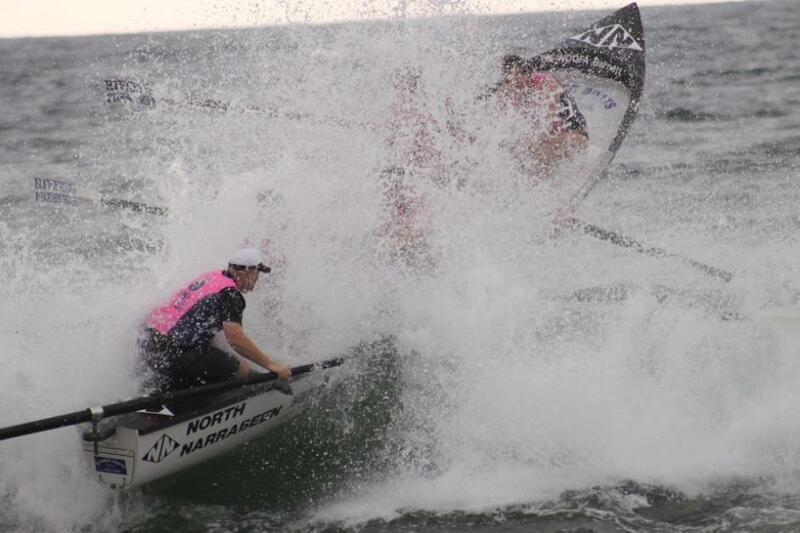 At a young age, Norm achieved the status of a boat official and his work continues to be respected and admired. 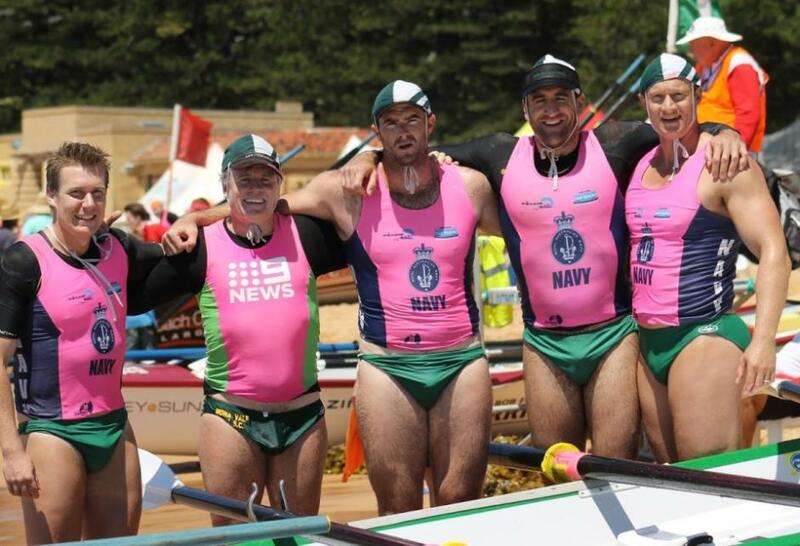 He too has achieved a record number of triumphs during 29 years of competitive rowing. 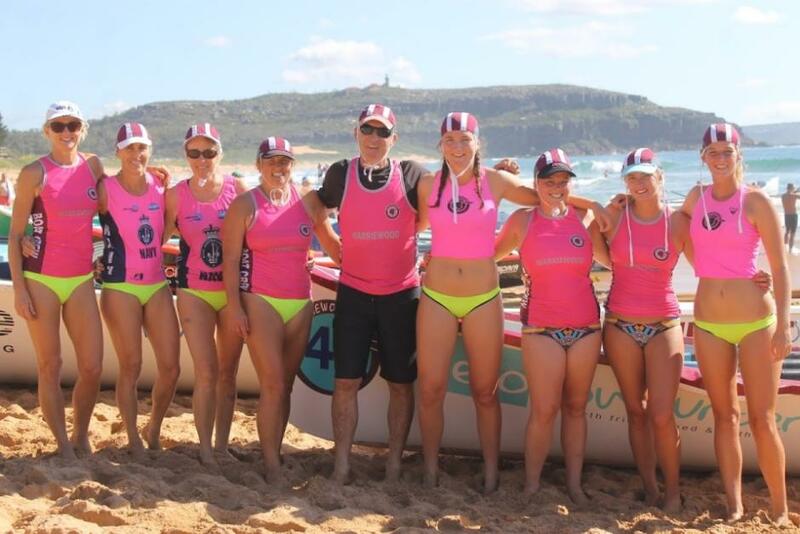 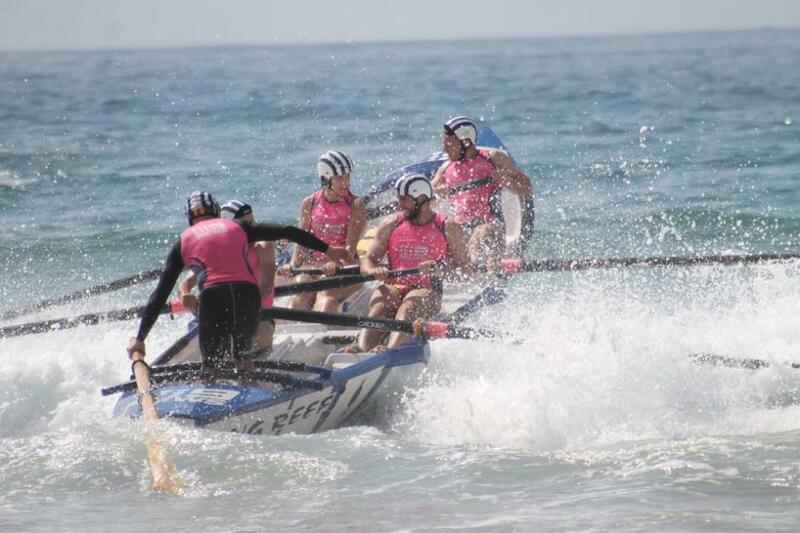 Warriewood, along with rowers from Avalon Beach SLSC, were one of three Northern Beaches surf boat crews who rowed in the bigGeorge Bass Marathon this year with sweep Russ Lamb at the helm. 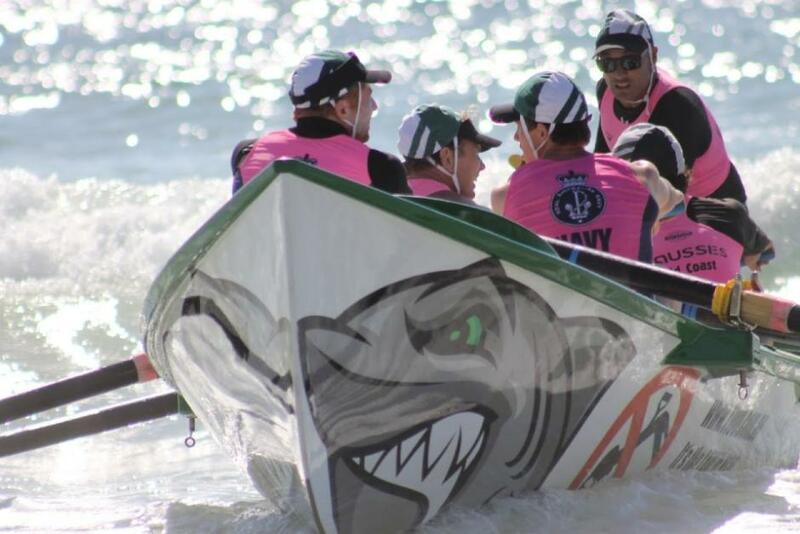 A fairly wet George Bass began their 170 kilometre odyssey but the sun came out in the end. 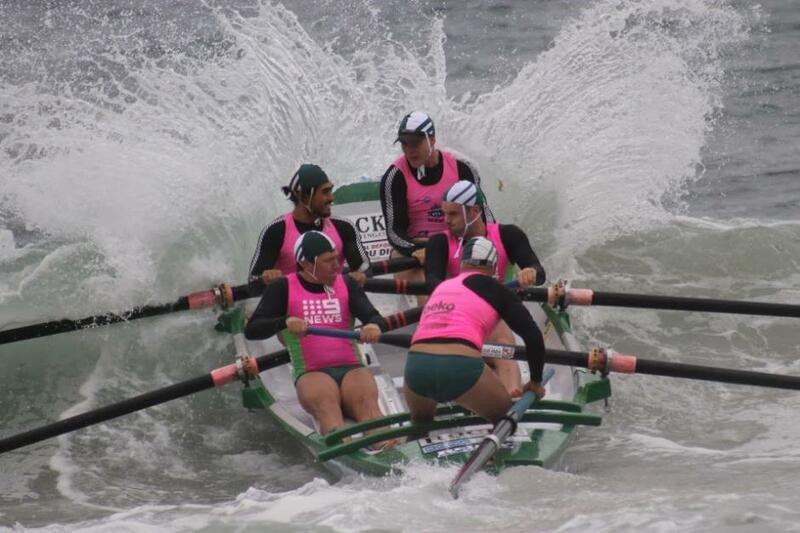 The Masters crew, the 'Rustiques' came third overall. 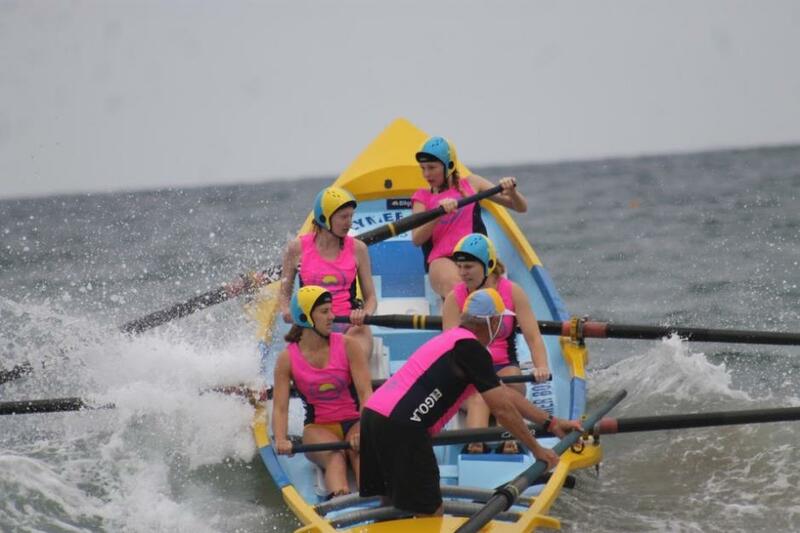 Warriewood, along with all Pittwater surf clubs, has focused this season on fostering the sport among younger members and had an Under 19's crew enjoying a few carnivals this season. 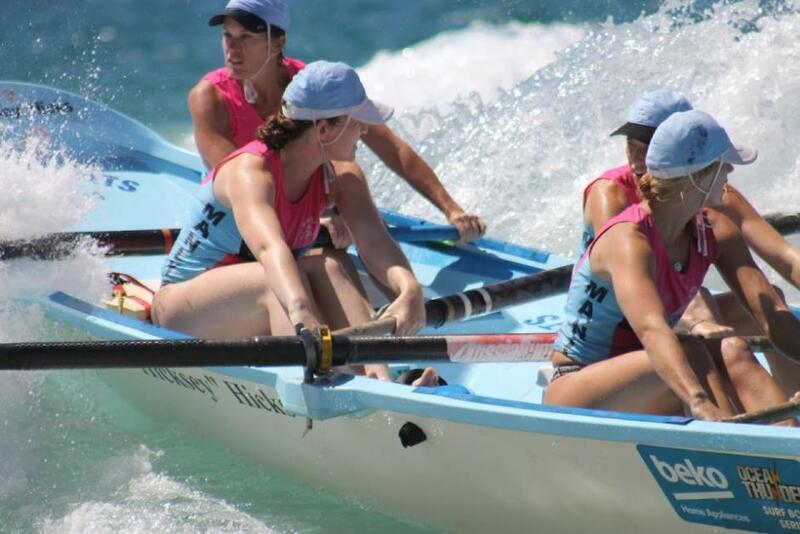 They are having a Come and Try row at Bayview today (March 20th) for lad and lasses in the Under 19's Division. 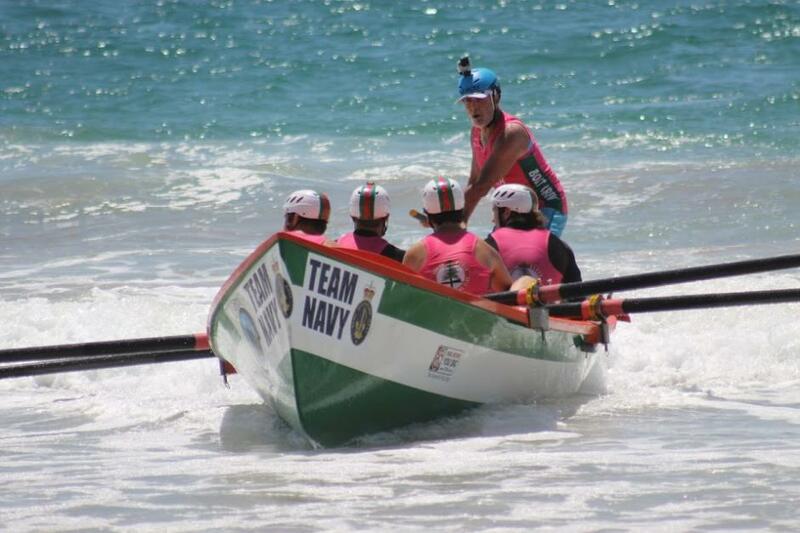 See this week's Profile for more on their Boat section. 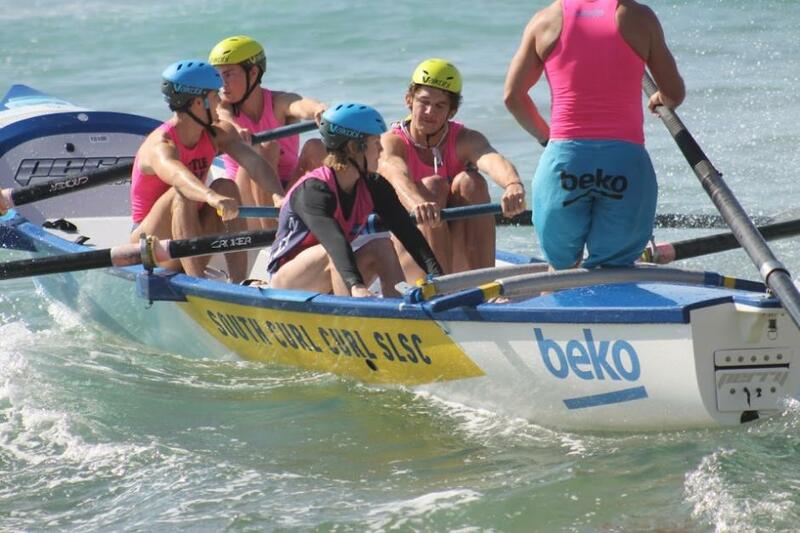 The club has been sending at least five crews to carnivals all season and consistently races in finals. 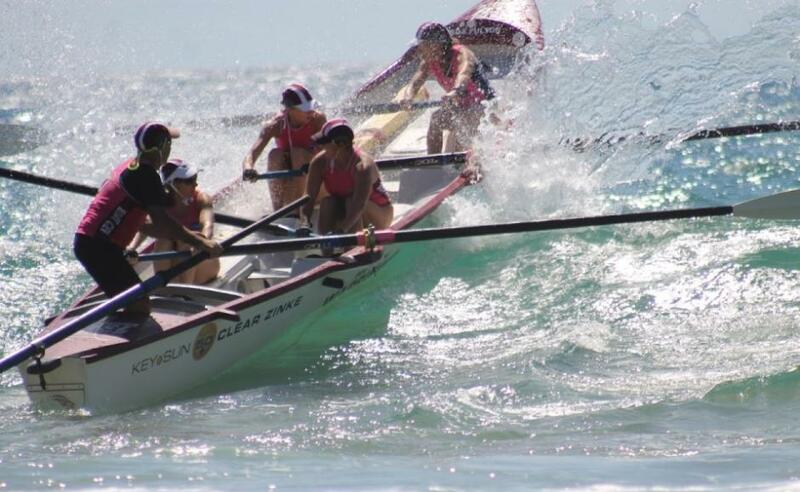 They brought home silver at States this year in the Reserves Division. 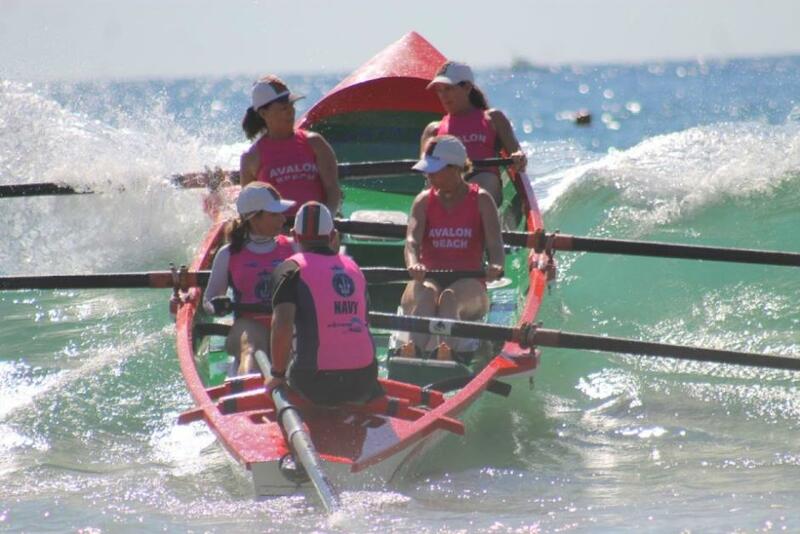 Whale Beach, under sweep Mr. Farrelly, have been a great addition to local carnivals for a few years now and had two crews at Branch, mens and womens. 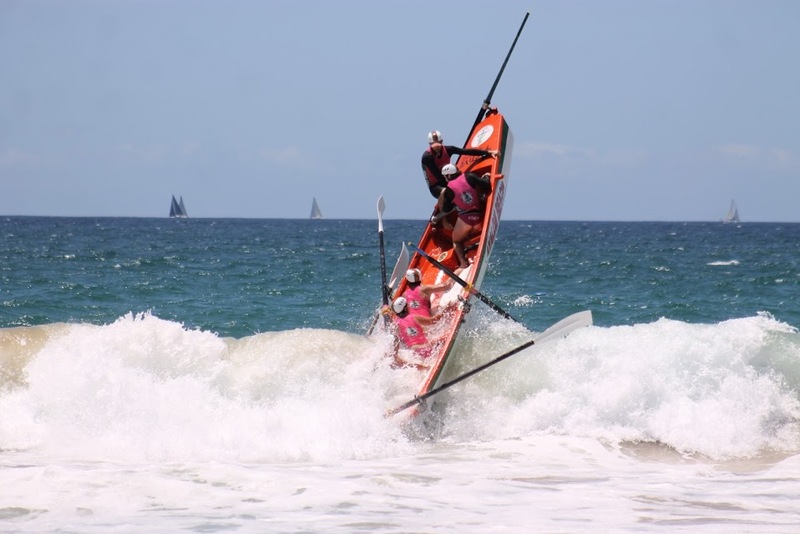 There have been three new surf boats launched this season too - the first was at Avalon Beach SLSC on the day of their Ocean Swim, January 17th - a good day for 'dunking'. 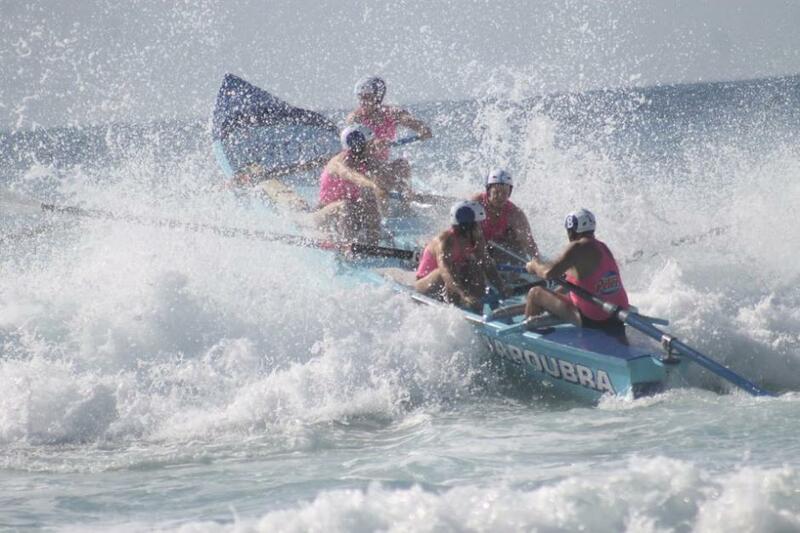 The 'Daryl Johnson' was named for one of the club's long service members and long term boatie. 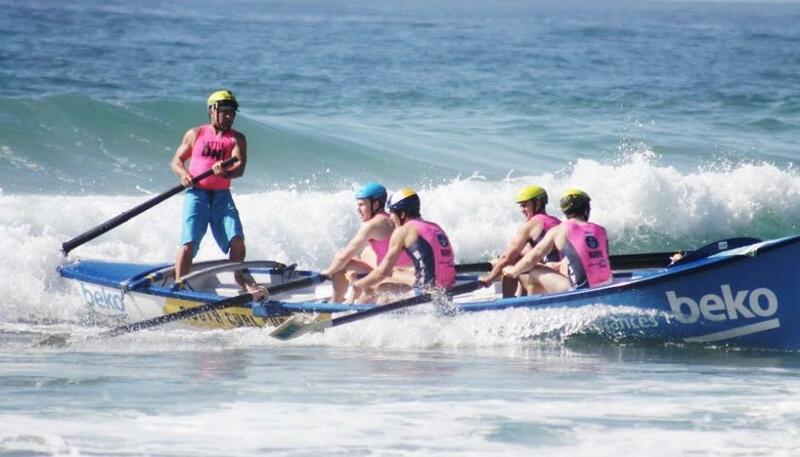 He was in the old boys Masters crew last year and part of the crew who won the Club’s first national surfboat championships in 1993 with Rick Millar, Michael Heathcote, Brent Walker, and Nathan Press in 1993 at Kurrawa. 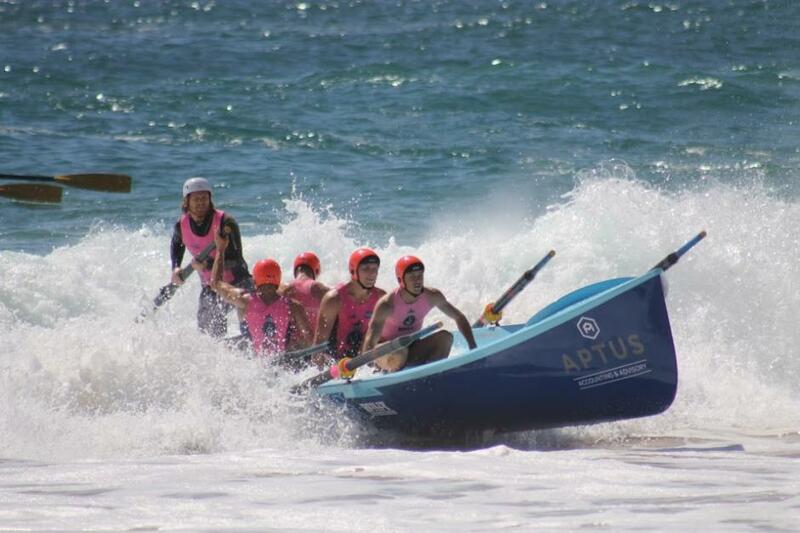 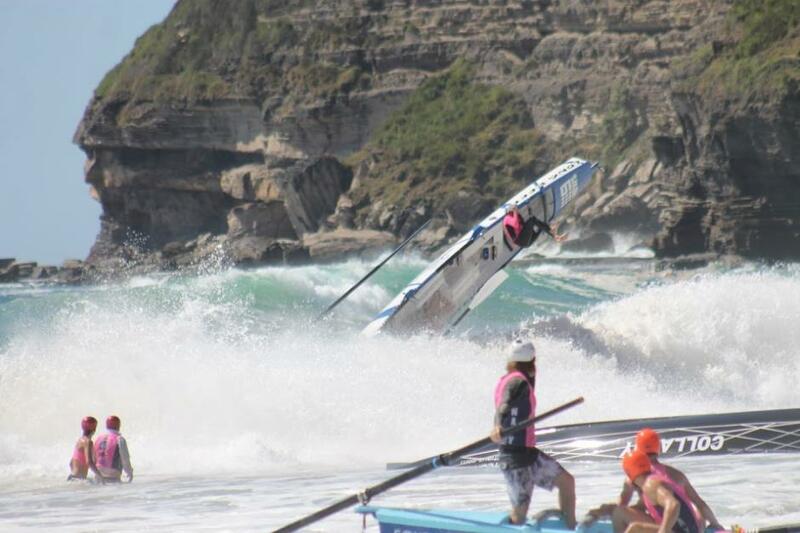 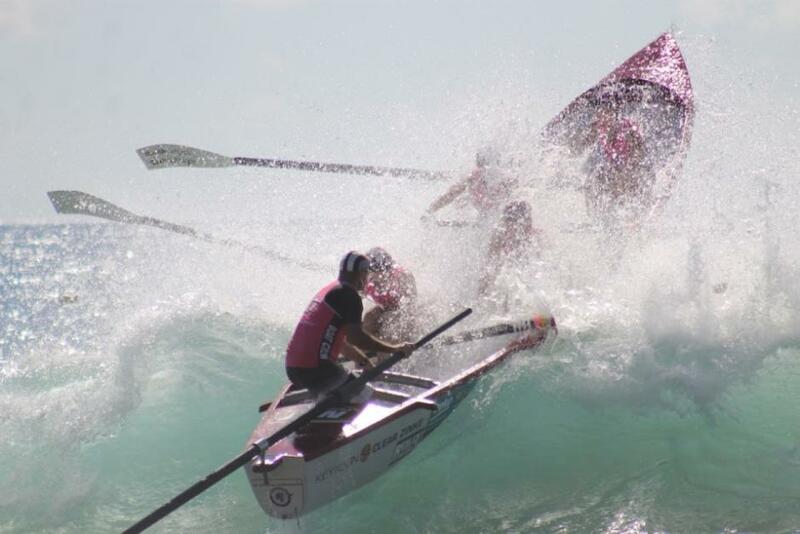 Palm Beach SLSC launched the 'Matty' - 'Matthew Giblin' on Sunday February 14th - Valentines Day! 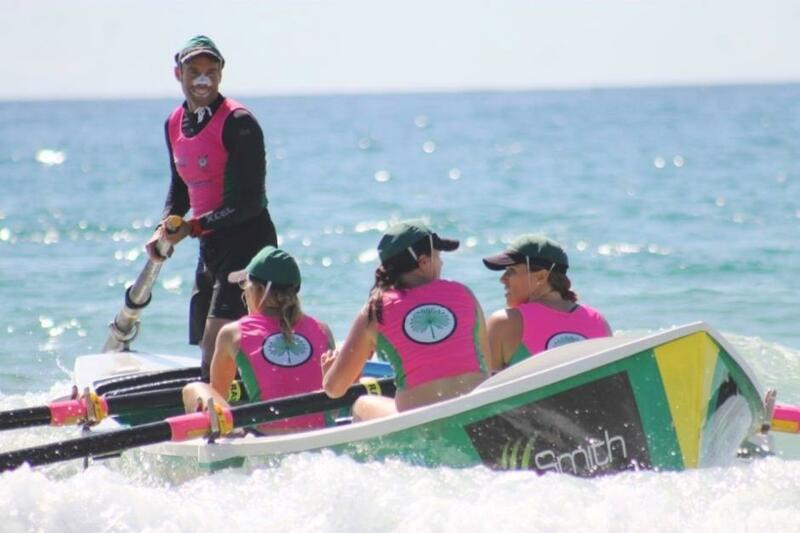 Doc Giblin, although he has had to sit the season out due to injury, has been on hand and on the sand at every carnival going as an official, helping out and keeping himself part of what he loves - he'll be back, for sure! 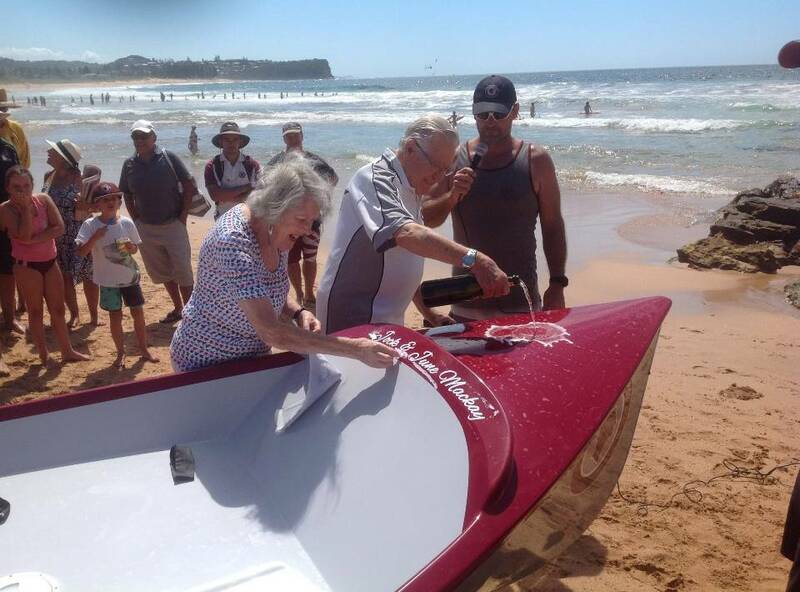 On March 6th Warriewood launched a boat named after Life Members Jock and June Mackay, stalwarts who have been a part of Warriewood SLSC for decades. 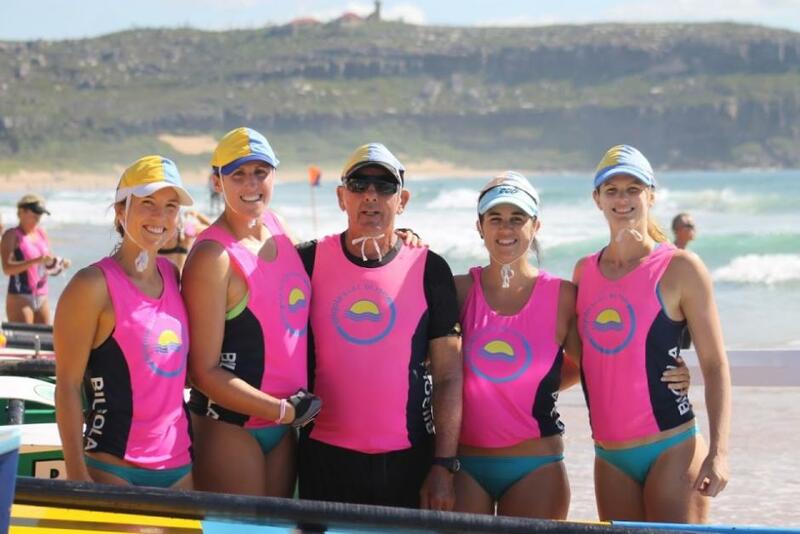 Jock rowed for WSLSC for many years and both Jock and June have been an integral part of club life for most of their lives. 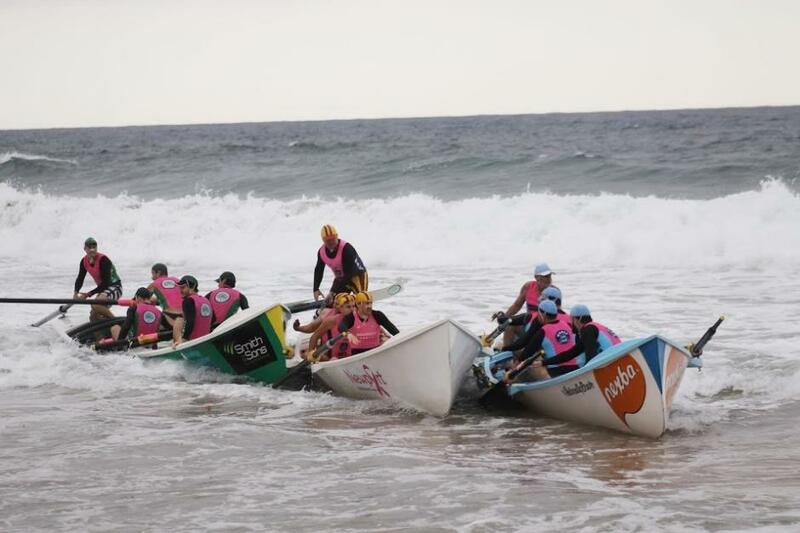 Time for the massive exodus north - fair winds and a following seas! 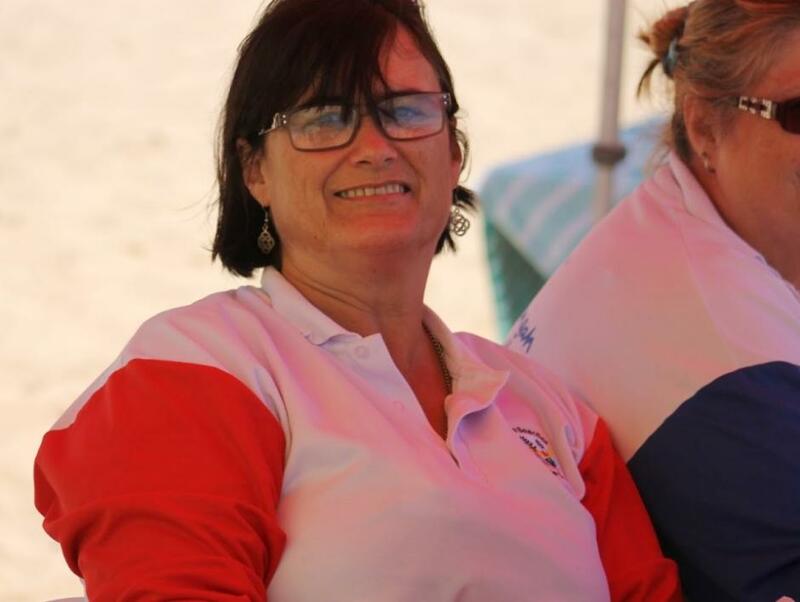 This lady is at every SNB SLS Branch boat carnival doing the results - all season long! 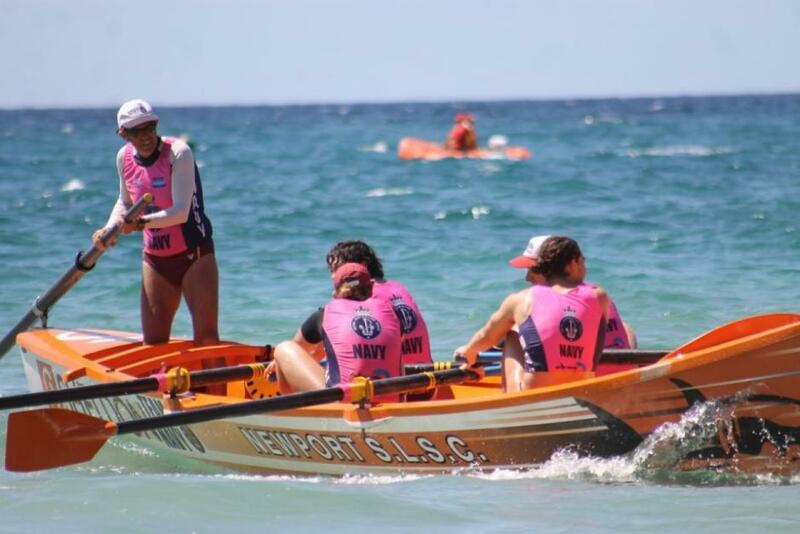 Results by Surf Life Saving New South Wales and Sydney Northern Beaches SLS Branch, 2016 - Pictures by Everyone.